Walk or drive east along King Street. Turn left into Station Road. The theatre is on the right hand side on the corner of the road leading to the Co-op car park. 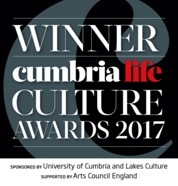 The council car park on the corner of Station Road and King Street is free after 7pm and is a minute’s walk from the theatre. Turn right out of the main exit and walk up Station Road for about 3 minutes. The theatre is on the left. Find us right in front of the Co-operative supermarket.